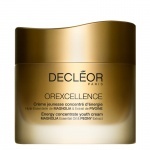 Decleor Orexcellence is a beautiful range of skincare dedicated to re-energising, regenerating and revitalising mature skin. Decléor is by your side to boost your energy. 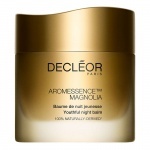 As we become older and the cellular renewal process slows down there is a loss of facial density and skin can be dull. 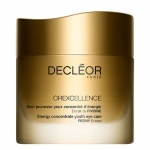 To treat these particular needs Decléor is launching the Orexcellence line, 5 anti-aging treatments, each in an attractive golden package: Aromessence Magnolia Youthful Oil Serum, Energy Concentrate Youth Cream, Energy Concentrate Youth Mask, Energy Concentrate Youth Eye Care and Aromessence Magnolia Youthful Night Balm.